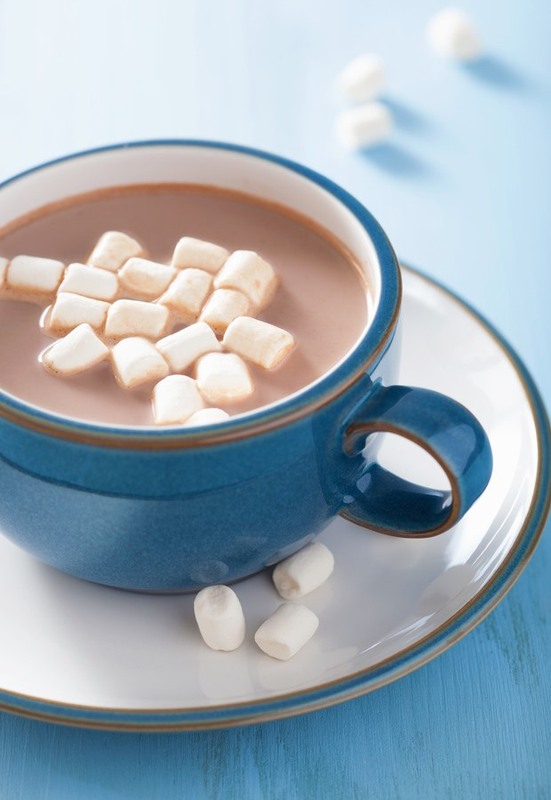 Happy National Hot Chocolate Day! Hot chocolate is one of my favorite beverages. When there’s a wintery blizzard outside, it’s perfect for keeping warm and toasty inside. On this National Hot Chocolate Day, I wanted to share with you one of my go-to recipes that features my all-time favorite hot cocoa mix: Ghirardelli’s Sweet Ground Chocolate and Cocoa Mix. I buy the 48 ounce canisters (weighing 3 pounds each) in bulk at the beginning of each winter to ensure I have enough on hand. Usually 3 canisters will get me through a normal winter season. The cinnamon is a subtle, yet decadent, flavor that pairs so well with the sweet ground chocolate cocoa mix. And it’s not really hot chocolate in my book if you don’t have a handful of marshmallows to plop on top! In a microwaveable mug (that holds at least 16 ounces), combine the Ghirardelli’s Sweet Ground Chocolate and Cocoa Mix, ground cinnamon, vanilla and 2 tablespoons of milk. Mix thoroughly until you’re left with a thick syrup. Pour in 1 cup of milk and heat for 90 seconds on high in microwave. Remove from microwave and give it a good stir until well blended. Heat on high for an additional 2 minutes. Give a final stir, then garnish with a cinnamon stick and mini marshmallows.